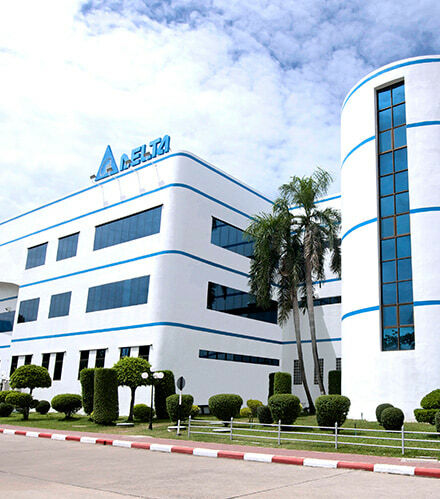 Milestones & Achievements | Delta Electronics (Thailand) PCL. Acquired all shares of Eltek S.R.O. from Delta Electronics (Netherlands) BV. Sold 51% of shares in Delta Energy Systems (Switzerland) AG and Delta Greentech Electronics Industry LLC to Delta Electronics (Netherlands) BV, with continued holding of 49% shares in both companies. Sold all shares in Delta Greentech (USA) Corporation and Delta Greentech (Brasil) SA to Delta Electronics (Netherlands) BV. Purchased land in Bangalore, India for construction of Design Lab. Received "CSR-DIW Continuous Award” and “CSR-DIW Award 2013"
Received "Prime Minister BEST Industry Award 2012"
Received “ISO14064-1:2006” certification from SGS (Thailand) Limited for Quantification Reporting of Greenhouse Gas Emissions and Removals Standard. 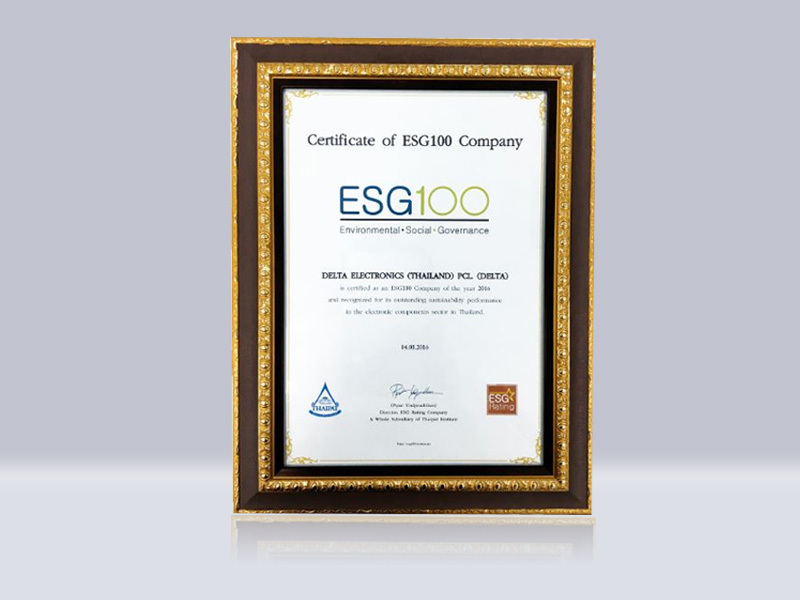 The first company in Thailand with this ISO certificate. Received "ASEAN Business Award 2011" runner-up position in Innovation for Large Companies category. 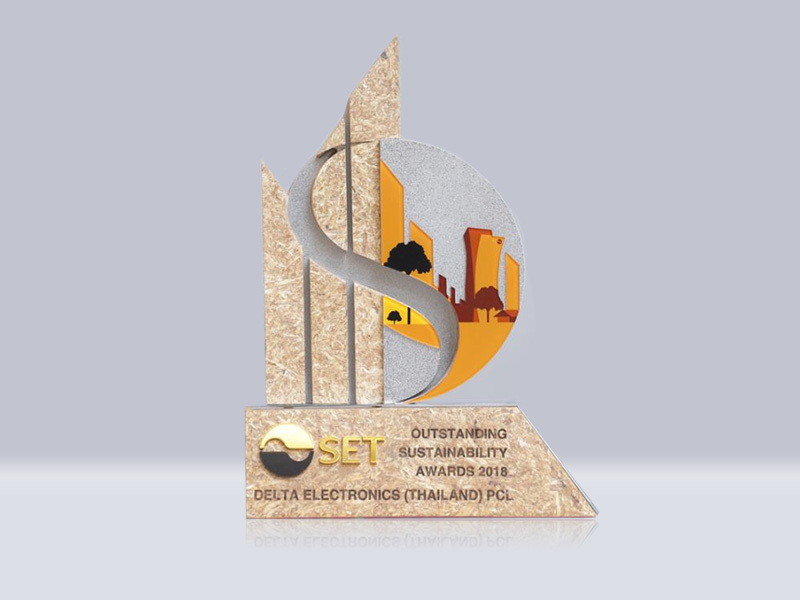 Received "The Best Quality Management Award of Prime Minister's Industry Award 2010"
Received "Thailand's Most Innovative Companies 2010"
Incorporated Delta Green Industrial (Thailand) Co.,Ltd. in Chachoengsao, Thailand. Acquired company in Switzerland and registered new company under the name Delta Renewable Energy Systems (Switzerland) AG. Incorporated Delta Greentech (USA) Corporation in USA. Incorporated Delta Greentech Electronics Industry LLC in Turkey. Delta Power Solutions India Private Ltd establishes first “Green Factory” in Rudrapur, Uttarakhand, India. Received “IECQ QC080000” (International Electrotechnical Commission Quality Assessment System for Electronic Components) certification of Hazardous Substance Process Management (HSPM). Incorporated Delta Power Solutions India Private Ltd in India to expand its production to its new plant in Rudrapur, Uttaranchal, India. Wellgrow Plant received “TLS 8001-2003” certificate at completion level. Received "Outstanding Establishment 2007 Award” for achievements in labor relations and welfare. New power adapter innovation- mcube 90 wins “CES” and “iF” design awards as the world's smallest universal power adapter. Bangpoo Plant received “TLS 8001-2003” certificate at completion level. Established Delta Electronics (Slovakia) s.r.o. to expand operations in Slovakia and build new manufacturing plant in Nova Dubnica, Slovakia. Received "Outstanding Establishment 2005 Award” for achievements in welfare. Started production of Cooling Fans for the telecom industry in Wellgrow Industrial Estate. Received Board of Investment privileges for Skill, Technology and Innovation (STI) projects in Electro Magnetic, Switching Power Supply, EMI Filter, Monitors and TV products. Received “Outstanding establishment under the Green Factory Project” award by Department of Labour Protection and Welfare to mark celebration of Her Majesty the Queen's 6th Cycle Birthday Anniversary. The Board of Directors meeting resolved the acquisition of Ascom Energy Systems. Started production of Cooling Fans in Wellgrow Industrial Estate, Bangna-Trad Road, Tambon Bangwua, Amphur Bangpakong, Chachoengsao Province. Increased the company's paid-up capital from Baht 1,072,496,030 to Baht 1,179,745,630 for the right offering. The Extraordinary Shareholders meeting resolved the alteration of par value per share of the Company from Baht 10 each to Baht 1 each. The Company has registered the above mentioned at Department of Commercial Registration, the Ministry of Commerce on 25 October 2001. Started trading of 4,032,000 units of the warrant (DELTA-W1) on the SET on 6 July 2000.. Received “Best Factory Award” from the Ministry of Labour and Social Welfare. Increased the company’s registered capital from Baht 800,000,000 to Baht 1,200,000,000 to support the right offering, business expansion and ESOP projects. Received “ISO 14001” certification from SGS Yarsley International Certification Services Limited. Received “Safety Award” from the National Safety Committee. Listed on the Stock Exchange of Thailand (SET) on 24 July 1995. Converted into public limited company on 23 September 1994. Received “ISO 9001” Quality System Certification from Norske Veritas (DNV). 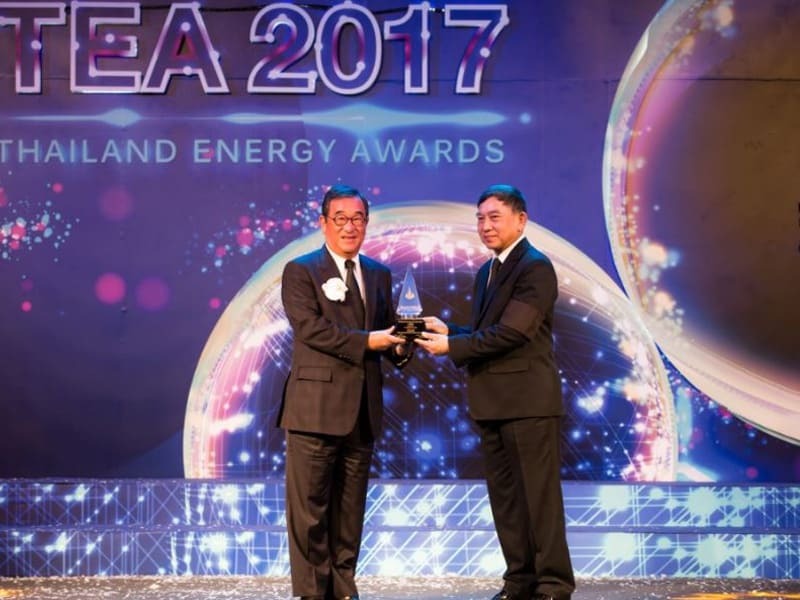 Received “Best Factory Award” from Industrial Estate Authority of Thailand (IEAT). Started production of Display Products and Switching Power Supplies.